Jeff Bridges recently sat down with The Guardian and talked with them about coming back 26 years after the original Tron to make the sequel. Mr. Bridges said, "Doing the new Tron movie is something that is just too good to pass up." 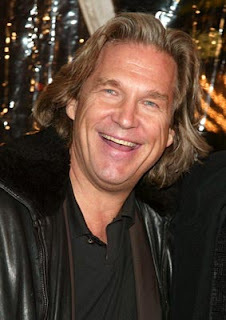 Bridges who is a master thespian in my book, has been one of my favorite actors since Thunderbolt & Lightfoot. I mean we are talking about the guy who has starred in such greats as Tron, Starman, Against All Odds, Tucker, The Fisher King, The Vanishing and of course The Big Lebowski. So him coming back to play Clu again is no small thing. If you were blessed enough to be able to catch the secret teaser of TR2N that was shown at Comic Con this year, you know how amazing this is gonna be. When asked why he decided to reprise his role Bridges said it came down to just a feeling. He explained, "Yeah, that's another unique, wild experience that was too good to turn down. Engaging in that world again feels just like it did all that time ago. Basically, I'm still a child, I love being childlike, and here was another chance to play with these crazy toys. And the cutting-edge technology makes it exciting. Doing the teaser trailer for Comic-Con, I had my first experience of motion capture. And that's turning the industry on its head. It's amazing being part of that." Bridges was also asked how Disney would update TR2N for the next generation. Jeff Bridges quickly replied, "Well, when we made Tron there was no internet, no cellphones. But now we have motion capture, so I think we'll get a far more successful version of the story, which is someone literally getting sucked into a video game." 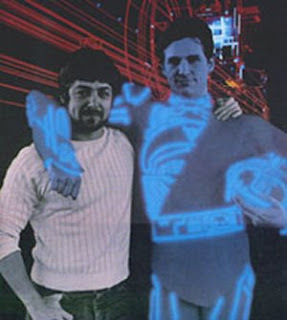 Bridges having starred in the 1976 King Kong compared the work Peter Jackson did with the most recent encounter with the 100 foot ape to the next installment of Tron. He illustrated, "When we did King Kong in the 70s, one minute you'd have a shot of Rick Baker in this big suit and then you'd cut to this 80ft stiff model, and they looked nothing alike. Compare to that Peter Jackson's King Kong the technology is there and they did a wonderful job. I thought they created a beautiful Kong. So I hope that'll be the same for Tron." AICN spoke with TR2N director Joseph Kosinski and he had a few things to add regarding the sequel. First off the film is a twenty-four month process. They have been working at it for a little while and believe a late 2010 release is possible. The film will be shot in stereoscopic 3D the same format utilized in the teaser shown at Comic Con. So yes, TR2N will be in 3D! Thoughts on TR2N? Are you psyched for the sequel? Did you get to catch the teaser at Comic Con? Whose cooler the Dude or Clu?